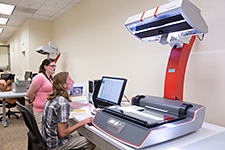 You can scan pension records, bounty land files, and more in our Scanning Room in Washington, DC. You'll take home a digital copy of your scans, and they will be available online in the National Archives Catalog within 8-10 weeks. Please contact innovationhub@nara.gov if you would like to learn more about our event space. Welcome to the National Archives' Innovation Hub. We are located at the National Archives at Washington, DC. You can also help us out by scanning some documents from our Featured Project. Help us make our records more accessible. Find out how you can tag and transcribe historical records online. You can help us make our historical records more easily searchable. We are located at the National Archives at Washington, DC, through the entrance at Pennsylvania Avenue. Rules and requirements for researchers apply. 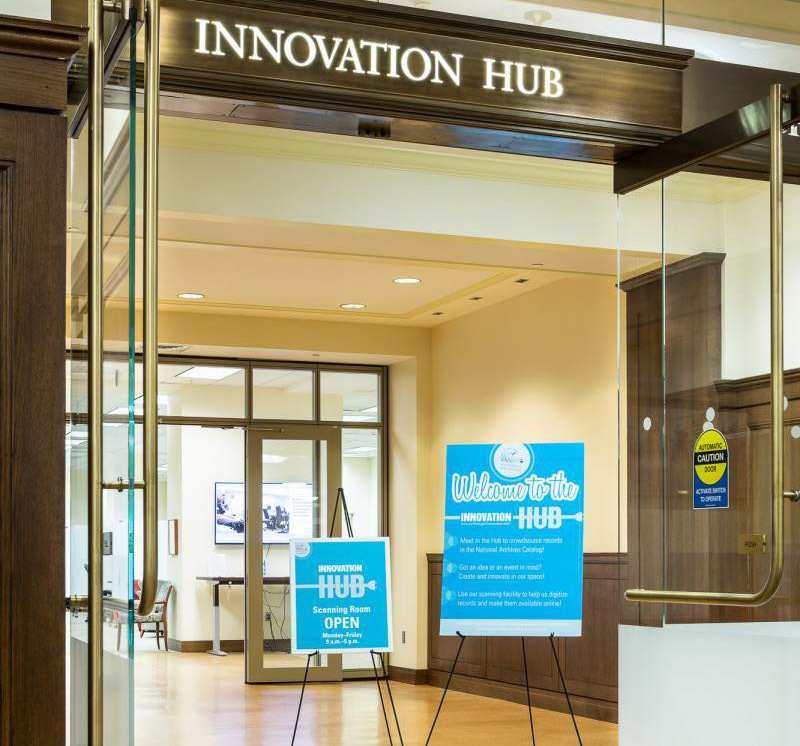 If you have questions, you can reach us at InnovationHub@nara.gov. This page was last reviewed on June 18, 2018.